Imagine in a country where there is no presence of local companies in manufacturing of the things used by the citizens. And there is no effort by the government to figure out how to make that change. Maybe we will start fining non-African companies. Yes, beyond MTN. Of course you cannot because they are doing you a favor by being around. Our market is so small that most will neglect it. 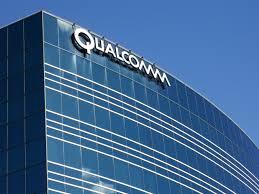 South Korea fined Qualcomm $853 million. The country’s anti-trust regulator has accused the chipset designer of imposing unfair licensing fees on mobile device makers using its patents. The company has faced similar hurdles in China and Europe, but South Korea remains an important market—it generates 11% of its sales from Samsung. Is there no area Nigerian companies are not being victimized under the hands of foreign firms? We make nothing and we are under the powers of these global giants. We need protection just as government protected Dangote Group in cement manufacturing.